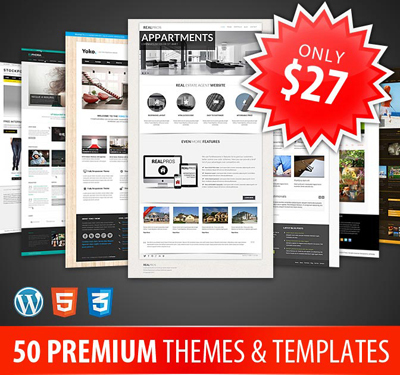 DEAL OF THE WEEK:DXThemes: 50+ WP Themes and Responsive Templates – only $27! Are your bored of your blog design and website layout or do you want to start a new blog or blogs?If you design or manage websites for clients you may often find yourself scrambling for some good-looking site templates or even WordPress themes. It can be tough finding just the right one without spending a fortune and honestly it is really hard to find high quality responsive and functional themes or site templates for a low price.Whatever your reason,this bundle is definitely for you.MightyDeals together with DXThemes offer an excellent opportunity for you.50+ WP Themes and Responsive Templates – only $27! 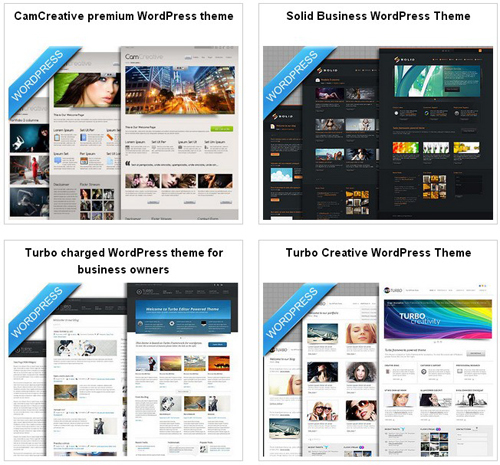 Your bundle includes 22 different WordPress themes to offer loads of variety to your clients. 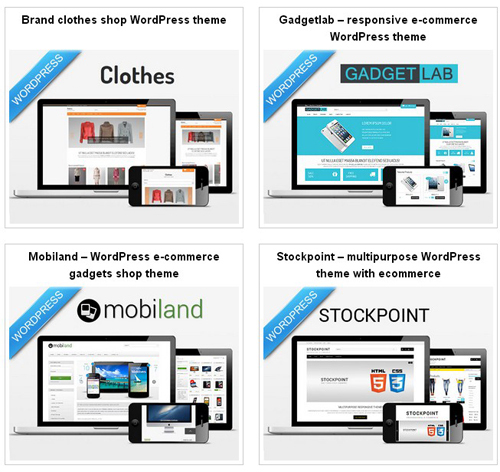 You’ll get 4 eCommerce themes to work into sites selling various merchandise, as well as 18 WordPress themes targeted towards business and portfolio sites. If your client’s site isn’t built via a CMS like WordPress, then you’ll want a full-fledged HTML5 template. This bundle gets you 32 high-quality, professional ones to work with. No matter what the content, you’re bound to find something perfect for your customer whether it’s a website for hotels, real estate agents, lawyers, businesses, education, architecture and so much more. 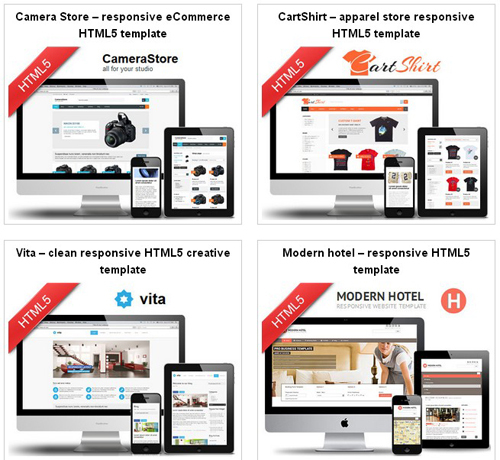 All of the HTML5 Templates are built with a responsive design. That means your client’s site will work seamlessly on any device your user’s viewing it on whether it’s a laptop, tablet or even a smartphone. They’re also built with the Twitter Bootstrap style, so the codes is extremely easy to read and customize as needed. All themes are completely ready for your SEO additions. Optimize away and watch your clients’ sites climb up the search engine rankings! All themes and templates are easy to install and run. You’ll have them up and running in no time, and they’re all a breeze to update as needed. This deal includes a commercial license for all templates and themes, so you can use them on your own personal website or any of your client’s sites. And there’s absolutely no limit to the number of sites you can use these on. Take a look at all the high-quality templates included in this bundle! Normally this huge collection of WordPress themes and HTML5 templates would cost you $714, but for a limited time only, you can get the entire bundle for just $27! That’s a staggering 96% off the regular price! Why are you still reading this? Click the BUY now button and get yourself an instant repository of premium themes and templates today!